Yubakaiseki Sansuiro is located in Hakone mountain, only 60 mins. far from Tokyo. Although Hakone is close to Japnese capital, it is famous for mountain area with hot springs and idyllic hideaway. 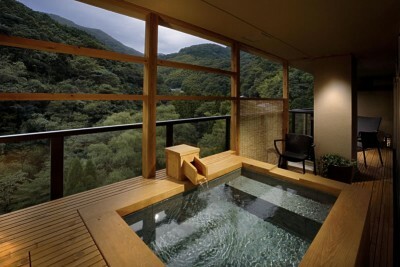 The open-air baths provide a beautiful view of the mountains of Hakone. 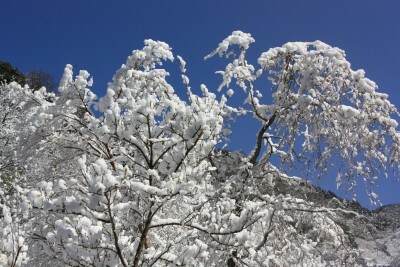 Snow scene around the ryokan.